Local rapper Cuddy Correkt is back with another collection of tracks entitled Odin 05, drawing from other artists and his contemporaries while exploring his own sound in the process. The album shows that Corekt is both relevant and well versed in creating modern-day rap music. His flows are modern, obviously influenced by South Florida rappers like Pouya and Wifisfuneral. “Who got the money?” particularly seems to borrow from the fast-paced South Floridaian lyricism and style. Corekt raps, “Who got the money and who got the dough,” repeatedly over a quick beat, sporting booming, bass sounds and quick samples. 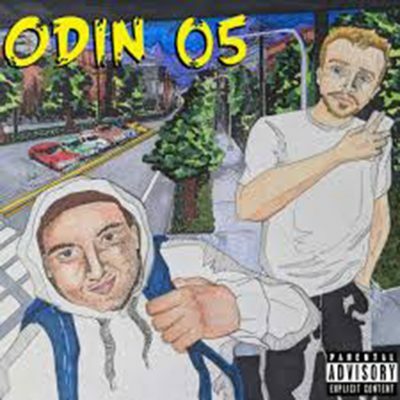 Though Correkt does well with emulating certain rappers and styles, some of Odin 05 feels a little too familiar and lacks a certain originality, or a desire to be new. Corekt has proved himself worthy as an emcee and artist, and he should be able to trust his personal artistic instincts. “Boat Load” is one of the strongest songs on the album because it seems to be a genuine, innovative track made by Corekt, where he isn’t coming across as sounding like a specific artist or style. “All I want is all I want, and all I want is what I want, with me myself and I, because it’s all I need and all I got,” Corekt raps on the track with an original cadence and flow.